Shore: How We See The Sea is an ambitious visual arts and science project reflecting Scotland’s coastal communities’ responses to Marine Protected Areas (MPAs) launching in Brodick on the Isle of Arran in the Screen Machine mobile cinema on Friday 20th July 2018 in partnership with COAST (Community of Arran Seabed Trust). Produced and curated by Invisible Dust, Shore inspires, connects and reflects responses in Scotland’s coastal communities to the MPAs two years after the legal designation of the first MPA network in 2014. The project aims to spark Scotland-wide conversations about “how we see the sea” and the role of MPAs in preserving or ‘shoring up’ our endangered aquatic worlds. Aimed at inspiring conversation around our relationship with the sea, Invisible Dust has commissioned two new works from leading filmmakers Margaret Salmon and Ed Webb-Ingall, shot on 35mm and digital video respectively in close proximity to MPAs on the west coast of Scotland. These works are being screened in nine locations across the country as part of a touring series of open, interactive events mixing arts with marine science. Alongside the screenings there will be additional creative and scientific content co-curated with each partner venue providing local context; interactive community ceilidhs led by community heritage organisation Local Voices, and opportunities for everyone to contribute to an interconnected project network forming a ‘chain’ conversation across Scotland as all Shore participants and audiences are invited to respond to the ideas, thoughts and learnings of the previous tour location. Throughout Shore, voices, texts, reflections and images will be gathered and shared across artforms and partner locations to create an impression of the national picture around the social, economic and environmental implications of MPAs. 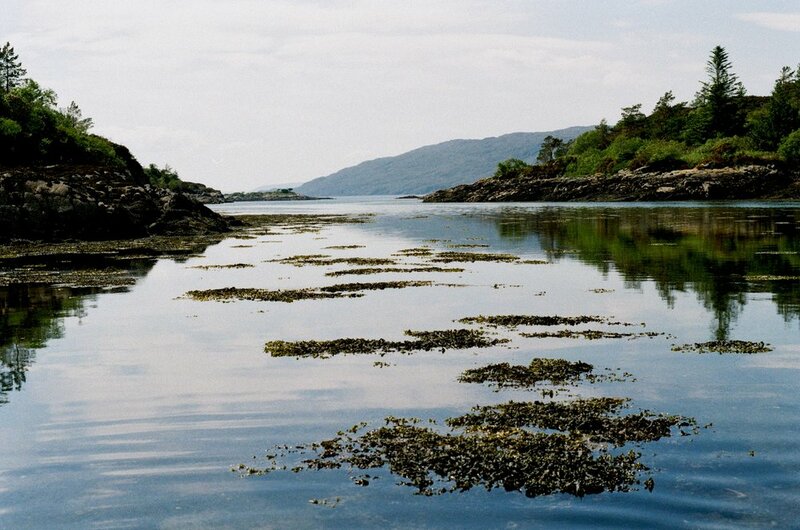 By offering a platform for the complex perspectives and perceptions inspired by both arts and science engagement, Shore aims to stimulate a wider national awareness and open up dialogue around the challenges of caring for our natural resources in Scotland and the UK. Shore: How We See The Sea is delivered by Invisible Dust through a network of project partners across Scotland.